A male victim was shot near a high school in Manassas, Virginia, Wednesday afternoon. Stonewall Jackson High School, Ellis Elementary School and New Directions were placed in "secure the building" mode as a precaution. Entry to the schools was restricted, but all students and staff are safe. The victim was shot in the abdomen in the woods next to Stonewall Jackson in the 8800 block of Rixlew Lane. The area has been secured, police said. A man was flown to a local hospital after a shooting near Stonewall Jackson High School in Manassas, Virginia, Wednesday. 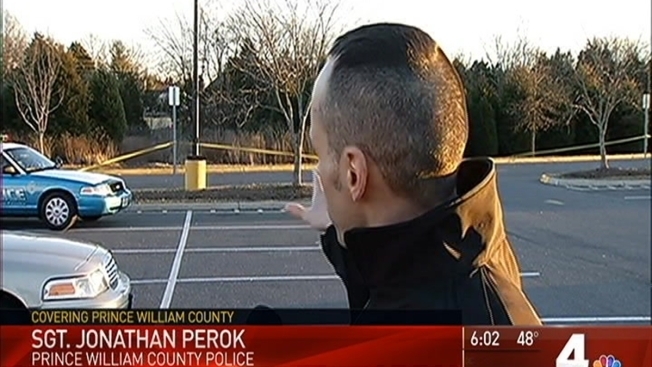 Prince William County Police are searching for the shooter. Police said there's an indication the shooter and the victim knew each other and there's no threat to the public. 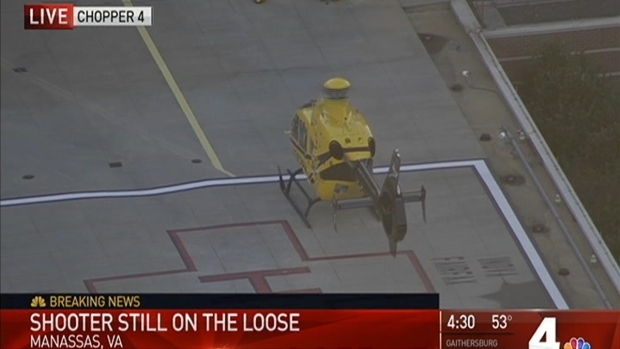 The victim, who called 911 himself, was flown to Inova Fairfax Hospital. Another male victim was taken to the hospital for a minor injury not related to a gunshot, police said. Police did not release the victims' ages.